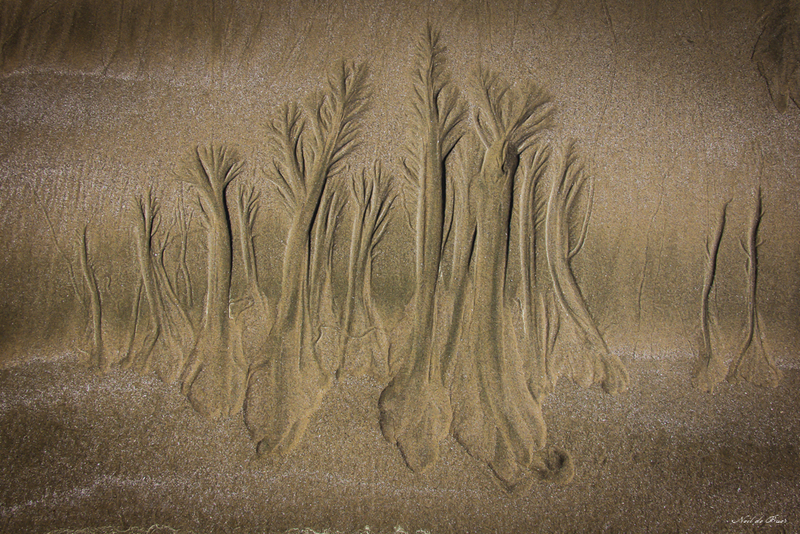 While walking along Florencia Bay on Vancouver Island, British Columbia these markings in the sand that looked like trees caught my eye. They were somehow produced by the receding tide. I am constantly amazed by the beauty to be found in the most unexpected places. It was almost as if God was drawing pictures in the sand!